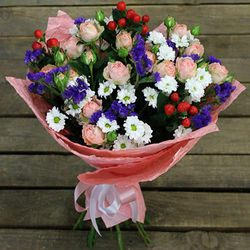 Easy and gentle composition for sensual and romantic natures! 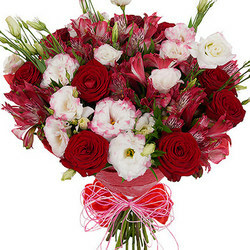 Give your dear person harmony and inspiration! 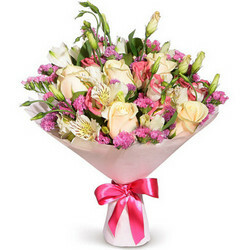 Composition: 5 white roses, 4 branches of pink eustomas, 2 alstroemerias, greenery, special decoration. 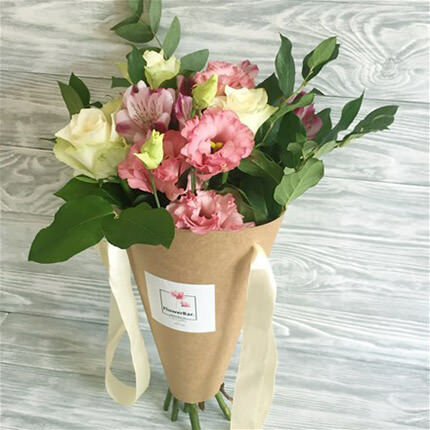 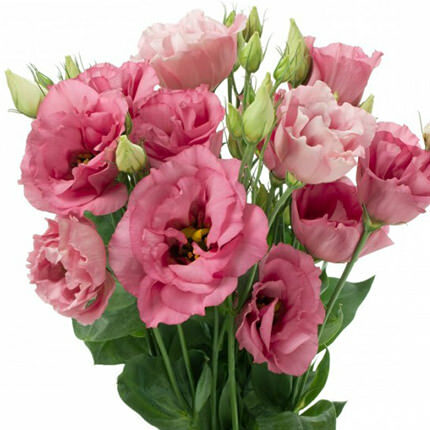 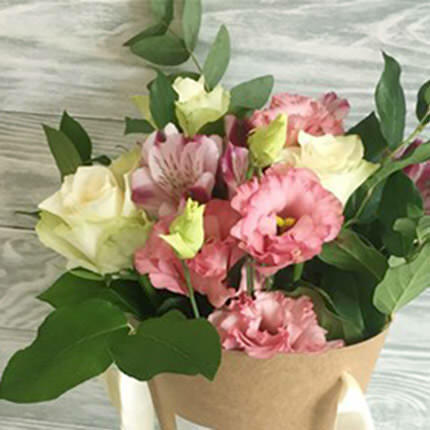 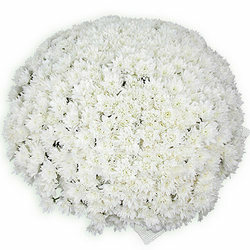 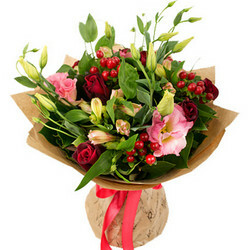 20032019 © Flowers.ua Bouquet in the cone-package "Poetic sketch"